Here’s some news that you probably don’t need to bother sitting down for: Disney XD has decided to renew the wildly popular Star Wars Rebels for a third season. New episodes of the animated series—set chronologically between Revenge Of The Sith and A New Hope in the early days of an inchoate Rebel Alliance—are already in production and are scheduled to premiere in 2016, while season two will be airing its final episode just days before the December 18 release date of Star Wars: Episode VII—The Force Awakens. 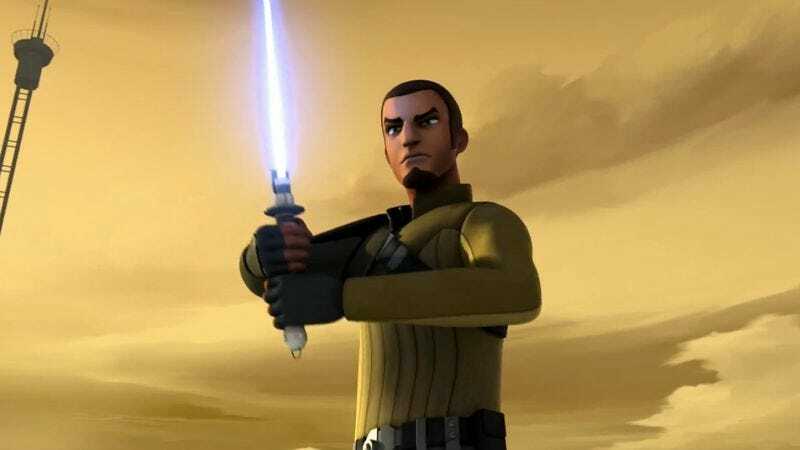 Rebels, which in its first two seasons made use of characters from the films such as Lando Calrissian and Darth Vader (voiced by Billy Dee Williams and James Earl Jones, respectively), is currently the channel’s second most-watched show in total viewers and the No. 1 show with adults 18-49 and men 18-49. No shockers there either.